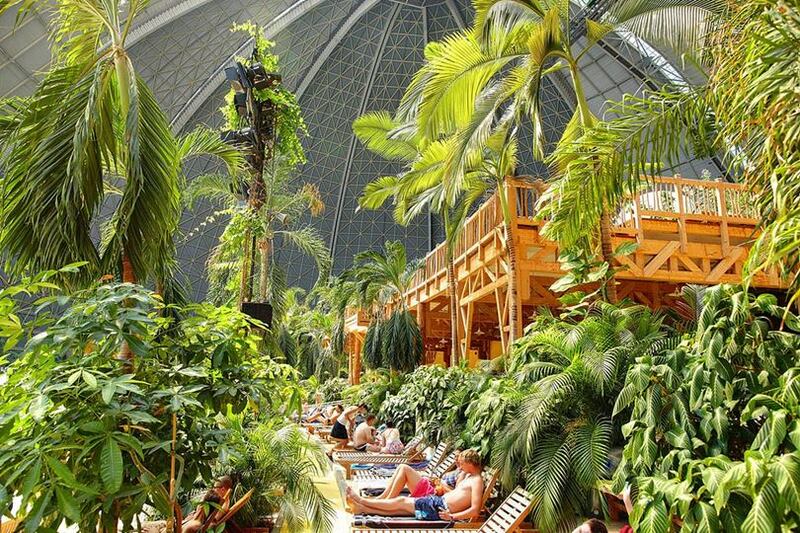 Tropical Islands Resort is a tropical theme park in Krausnick, in the district of Dahme-Spreewald in Brandenburg, Germany. 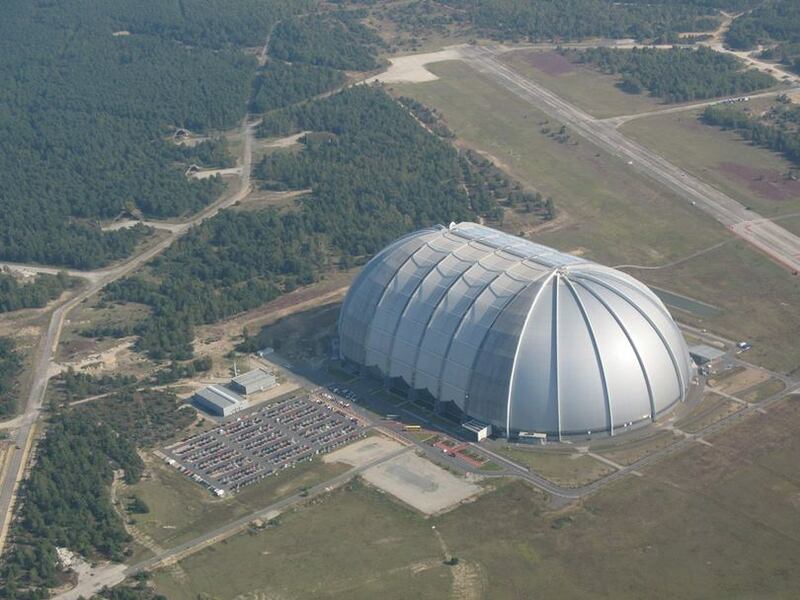 It is located in the old CargoLifter airship hangar, known as the Aerium, the largest independent room in the world. The hall belonged to the company CargoLifter until its insolvency in 2002. 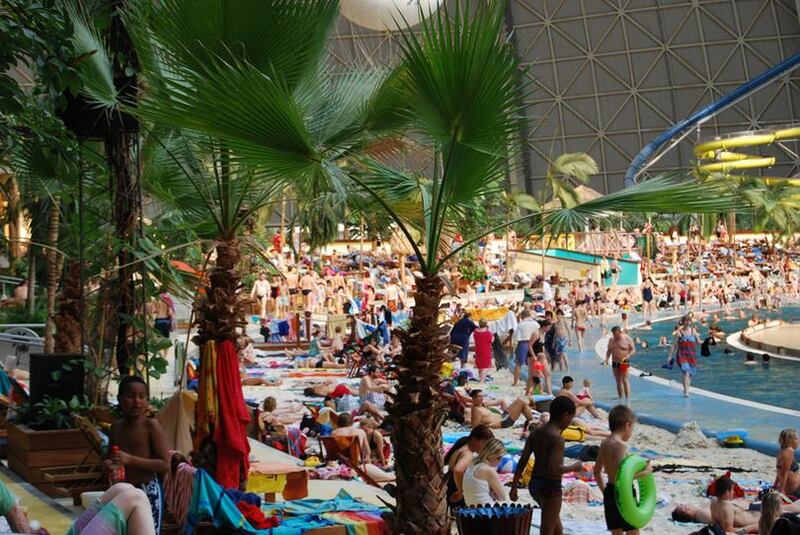 Tropical Islands has a maximum capacity of 6,000 visitors a day. In its first year of operation it attracted 975,000 visitors, according to figures published by the operators. 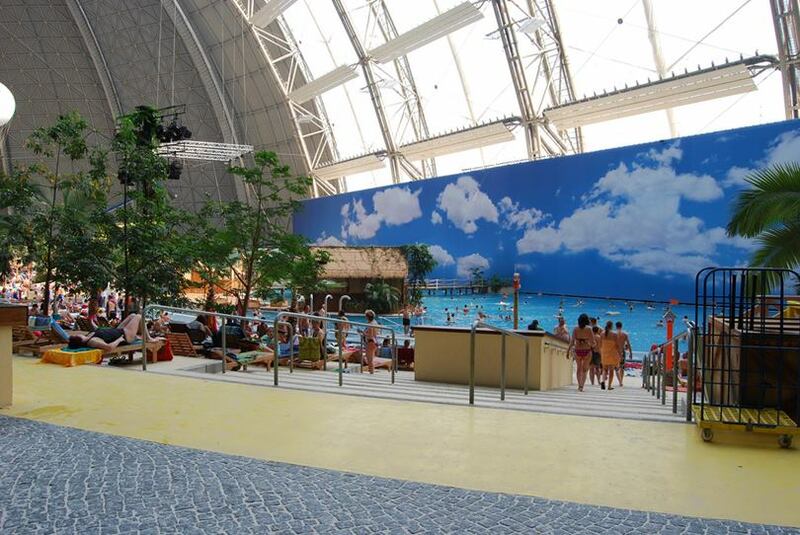 The annual report of the Tanjong company states that the hall had 155,000 visitors in the business year February 2004 to February 2005, in other words mainly prior to the opening of the theme park. 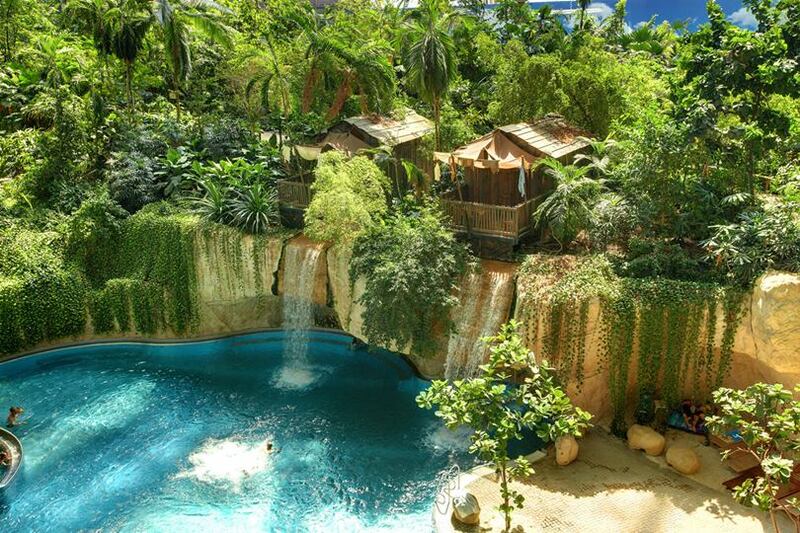 Approximately 500 people work at Tropical Islands and contains a tropical forest with over 50,000 trees and plants of 600 varieties. 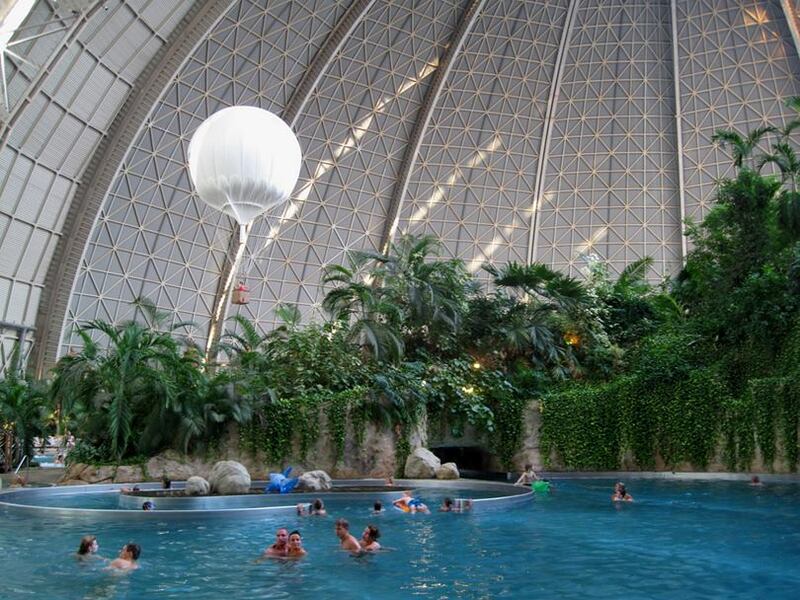 In addition to its spectacular beach with more than 400 sun beds to enjoy the "sun", the complex has a full range of water slides, spa, waterfalls, whirlpools ... and other activities among which even include the possibility of walking into the resort aboard a hot air balloon . 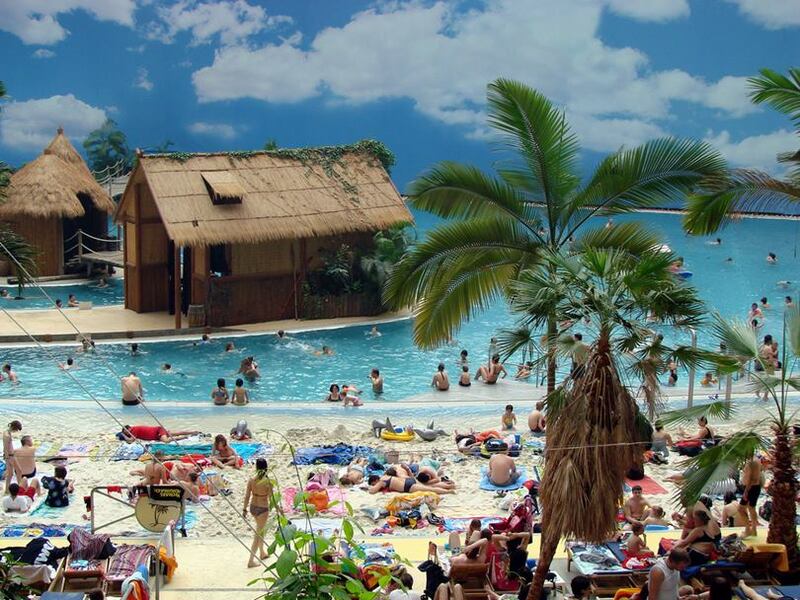 Tropical Islands is located approximately 60 kilometres south of the centre of Berlin and 50 kilometres from the southern boundary of the city. It is close to Briesen/Brand in the south of the municipality of Halbe. 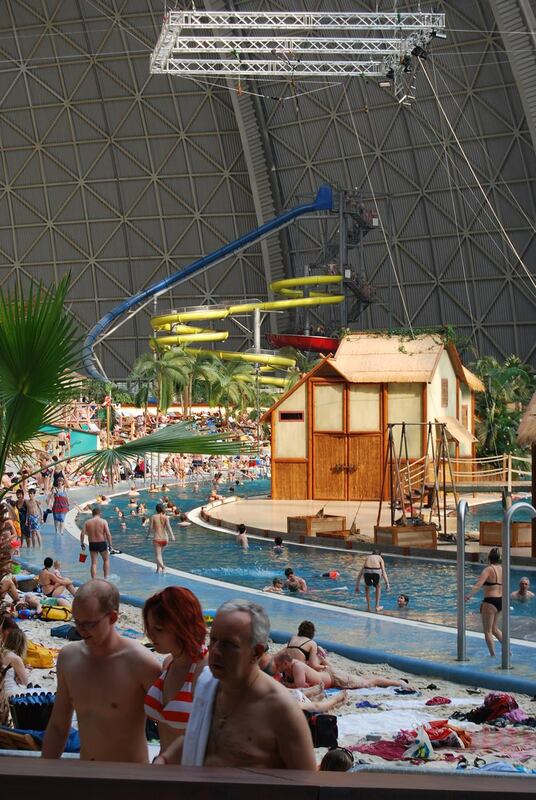 The theme park is on the site of the former Soviet airfield Brand, in the Aerium hangar, at just under 70 metres above sea level. 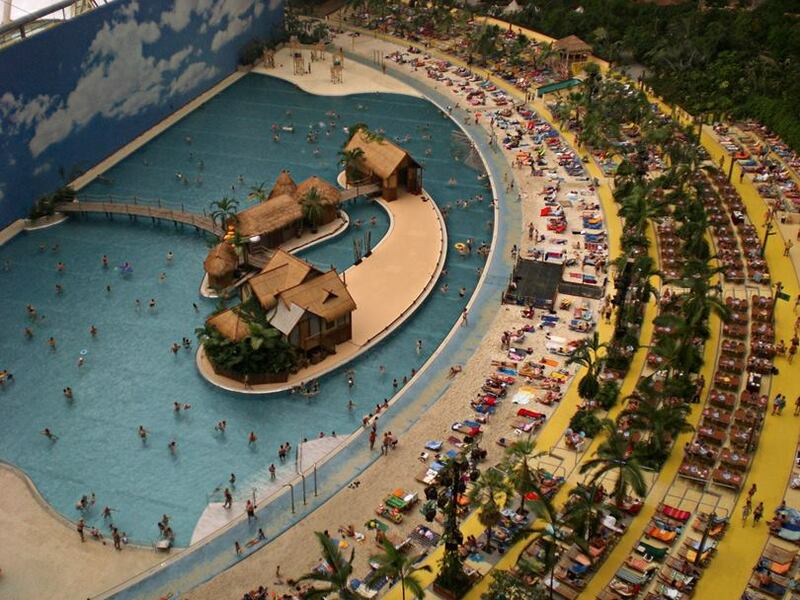 The success of this type of construction as water park promises a second life for many disused hangars still left in the world . While some analysts expect a revival of the aviation airships for military purposes, competing for that space. The recycling of these ancient structures to give them a reborn use is no more than a warning about the dangers of dream big and that is reflected in the case of Aerium now "Tropical Island"; one megalomaniac dome is daily witnessed one of the most visited attractions is, paradoxically, a helium balloon carrying tourists over the tropical rain-forest growing in its womb.